Your curly hair is very sensitive and needs special attention. Here are ten things to help you keep your curly hair looking gorgeous. #1:You must wet or dampen your hair every day in order to help your hair find its curl pattern again. Less shampooing is always best. 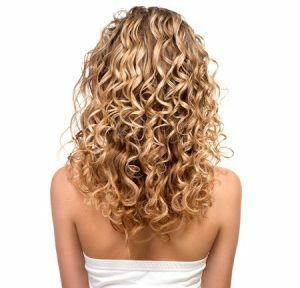 Curly hair tends to dry out very easily and this can mean frizz and that dry feeling. Choose a sulphate free shampoo that will be gentle on your hair. The best option is to use a shampoo 1-2 times a week and on the other days shampoo your hair using conditioner and water. #2: CONDITION! Conditioning your hair is important. In order to ensure it won’t weigh your hair down, start mid-shaft and work your way down. Don’t condition your roots! This will help make your hair feel less heavy and give it the volume and bounce you’re looking for. #3: Always use a leave in conditioner. When looking for products, there are plenty of options for us curly haired girls that have less alcohol in them. The less alcohol in your products, the better! #4: If you must blow dry your hair, always use a diffuser to ensure the wind doesn’t destroy the curl pattern. Bend over and do the roots and mid-hair, leaving the driest parts – the ends of your hair – to air dry. #5: Never use a hairbrush or comb! All they do is cause frizz. Use your fingers to scrunch your curls. #6: Proteins are what give curls their bounce, and heat destroys proteins. So stay away from heat when you can. It is best to either air dry your hair, or invest in a hood drier, which is very similar to letting your hair air dry. #7: Get trims and haircuts often. This will help make sure your hair lies just like you like it. #9: Apply styling products and begin the styling process while your hair is damp. #10: Use a silk pillowcase. Cotton absorbs moisture, and can tug on your hair as you turn. Silk keeps things smooth and less disturbed. If you treat your curls with care, they will look great for a lot longer time. Remember the Ten Hair Commandments and you can’t go wrong.